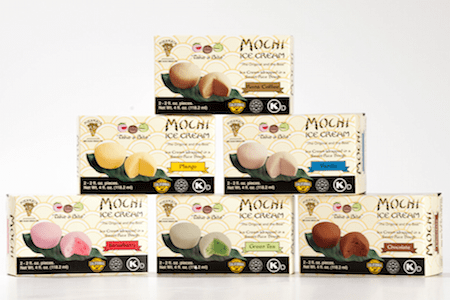 What’s Your Favorite Mochi Ice Cream? Do you have a favorite ice cream flavor? Are you open to new experiences? Whether you know which Mochi Ice Cream flavor your love or not, there are several flavors that are good for different occasions. Some days you may have a craving for mint chip, while another day you may want cookies and cream. Each day can be a brand new flavor. Find yours today! Mango Mochi Ice Cream is a cool rush of tropical paradise. If you are the adventurous type, then this flavor is for you. Whether you enjoy surfing, cliff jumping, skydiving, rock climbing, or other extreme sports, you crave the taste of adventure. Mango Mochi is packed with a punch of wild, exotic flavors that will take you away. Even if you’re stuck at home, but itching to get out, you can take a mental vacation with the tropical flavors of Mochi. Mango Mochi Ice Cream is perfect on a warm summer day, pool party, or even before or after a great adventure. Let the balanced, refreshing taste of Green Tea Mochi Ice Cream melt your stress of the day away. If you enjoy drinking green tea, or simply like more subtle flavors, then this Mochi flavor is your perfect match. Green Tea Mochi is a great treat after yoga and meditation, a spa day, or even before or after running around on your daily errands. Whenever you need that mental break to find peace and balance, Green Tea Mochi is the answer. If you are a chocolate lover, we don’t need to say much more. The love for chocolate goes beyond words. It’s an understanding that you have in your heart and soul. Well, maybe not that intense, but we still know better than to get in your way when your chocolate craving kicks in. Chocolate Mochi Ice Cream is fantastic for a girl’s night in, date night, movie night, or really any night that you want to indulge in the rich, luxurious flavors of deep, velvety chocolate. Strawberry Mochi Ice Cream is a blast from the past. For the days when you want to reminisce and indulge the big kid inside, or if you want to treat your own kids, this flavor is the best choice. It is perfect for birthday parties or when your kid’s friends are over. Red Bean Mochi may seem strange if you have never had it before, but it’s worth trying. You may not know what to expect when you try it, which is why we’re here to help. Red Bean Mochi has a unique texture that is slightly chewy from the rice flour casing, yet is soft on the inside. It has a unique, sweet flavor. It is smoother than ice cream, so it melts in your mouth. It’s made from a red bean paste, but is also sweet, so it still tastes like a dessert. It’s perfect for those who like having a treat after a meal or as a snack without it being too sugary like cake or ice cream.